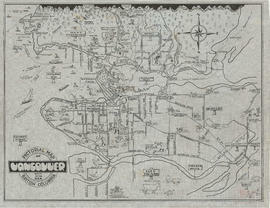 Item is an advertisement for real estate in East Vancouver Heights, with a map of the subdivision and promotional text on one side and an illustrated oblique view of Vancouver on the other. 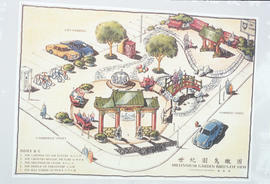 Item is a photographic reproduction showing a conceptual drawing of a bird's eye view of the Millenium Garden. 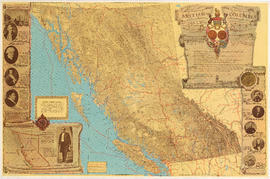 Item is a pictorial map showing major roads and attractions in Vancouver, West Vancouver, North Vancouver, Burnaby, New Westminster, Sea Island and the northern portion of Lulu Island. 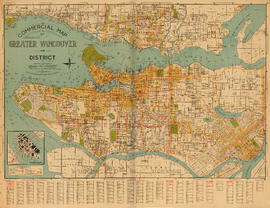 Item is an illustrated tourist map showing parks, major landmarks and major streets in Vancouver and parts of Richmond, Burnaby, West Vancouver and North Vancouver. 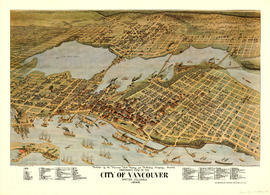 Item is a promotional brochure for the City of Vancouver, included as a holiday supplement in the Vancouver Daily and Weekly World newspapers. 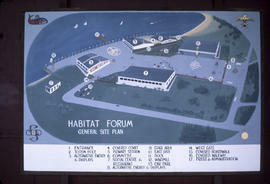 The brochure was designed to be folded.